Bryan Dougherty will enter the second day of the New Jersey PGA Championship as the two-stroke leader after a 4-under 67 at Mountain Ridge Country Club. Dougherty, who said he had only finished under par in a Section major just once before, had a hole-in-one on the par-3 7th and birdies on No. 6 and 9. Essex Golf Range’s Sam Kang, a winner of this event in 2011, had four birdies on his front nine and finished his round with a 2-under 69. 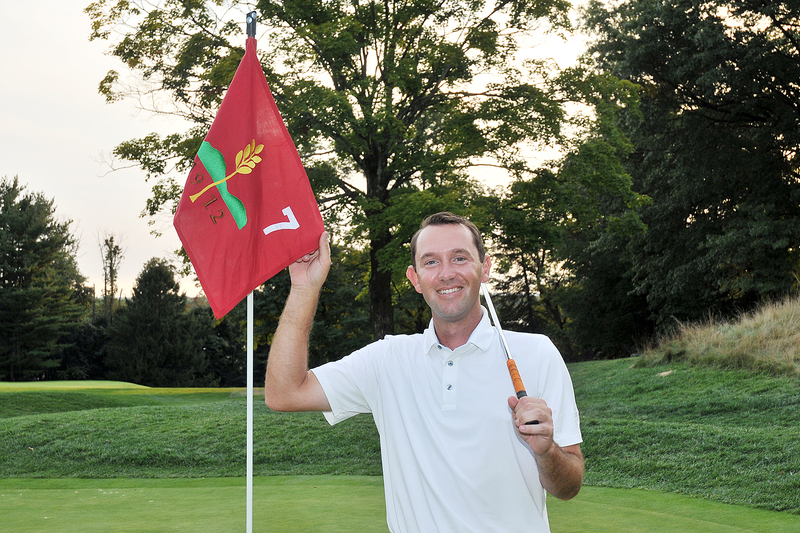 Behind Kang was Michael Holiday of Upper Montclair, who had the low round of the morning with a 1-under 70. In a tie with Holiday is Marc Issler of Toms River Golf Center, who qualified for the PGA Professional Championship last year. In a tie for fifth is Travis Deibert of the Ridge at Back Brook, who finished in a tie for second at the Fall Finale when it was played at Mountain Ridge last year. In a tie with Deibert at even are Jim Beadle of Core Golf Performance, Peter Chang of Fairmount, Mark Yannotta of Anchor Golf Center, and Carl Hays of Hollywood. Rich Terga, who is an instructor at Mountain Ridge and was the first round lead at the Fall Finale last year, had a 1-over 71.